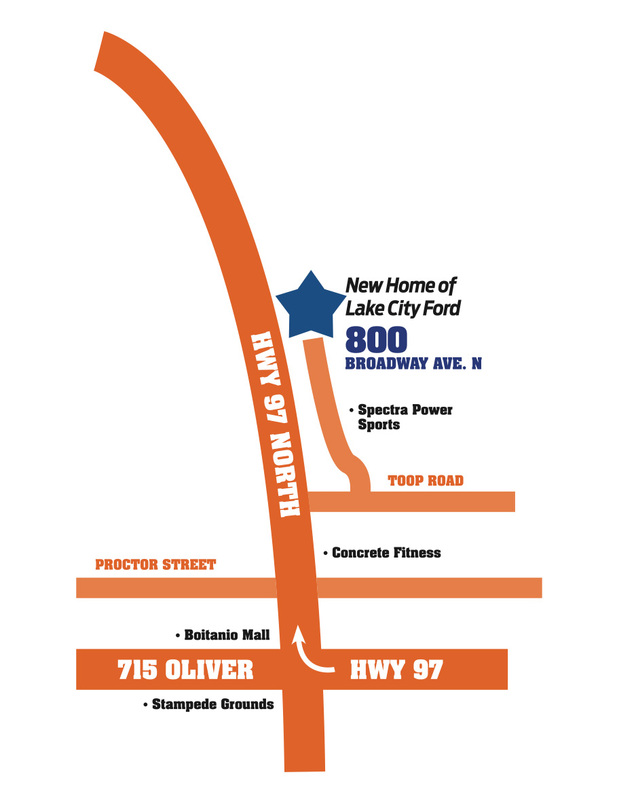 Lake City Ford is Williams Lake’s premier New and Used Ford Dealership. We have a long history in the Cariboo and Chilcotin and have the pleasure of serving those from Williams Lake, 150 Mile House, Horsefly, Likely and Bella Coola. We want you to know all about us so you know who is serving you. It all started in the 1950’s when Chuck Beath, the Ford dealer in Quesnel, set up Hank and John Neufeld as a satellite dealership. The Neufelds pushed forward and bought a building in Wells, British Columbia and they moved their operation to Lake City Ford’s previous downtown location. A portion of the original building was still used in the Parts Department years later. 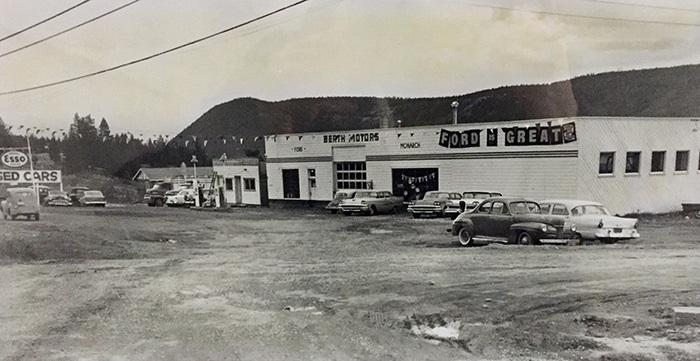 As of 1976, the Ford dealership had been expanded to include a body shop, service bays and was named Lake City Ford Sales Ltd. Ron and Fran Ridley took over for the next 30 years and did major renovations, including opening a new facility and new body shop. This became the modern and friendly new and used Ford dealership you see today at Williams Lake Ford. With such a wonderful and long history we are extremely proud of where we are today. 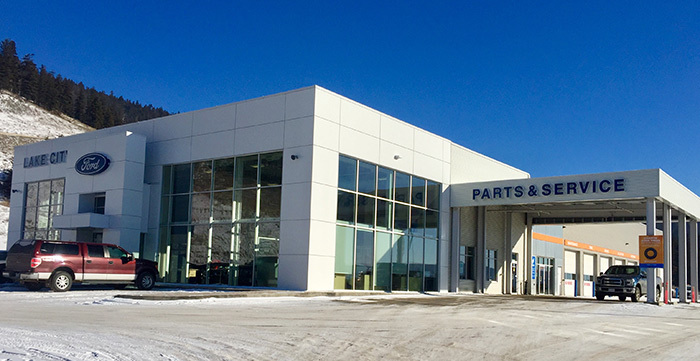 Fast forward to 2019 and we have a bran new state of the art building located at 800 Broadway Ave N, featuring a massive 13 bay service shop and a 2 bay detail department! Lake City Ford Sales Inc. offers many automotive products and services to our Williams Lake area customers. From quality new Ford vehicles to used cars, we know anyone looking for a vehicle near Williams Lake will likely find what they want at our dealership. We carry a comprehensive line of Ford vehicles, including the Escape, Edge, Expedition, Focus, F-150, F-350, and F-450 making us a good choice as your Williams Lake Ford car dealer. Our services include trusted Ford car repair, original Ford auto parts, and auto financing to help our customers purchase the car of their dreams. We have certified Ford technicians who will make sure that your Ford Vehicle is always in tip-top shape. Call Lake City Ford Sales or come visit us in person. We’re convenient to Williams Lake, BC and located at 800 North Broadway. and look forward to helping you with your automotive needs. To learn even more about us check out our staff page to see who’s serving you at Lake City Ford, Williams Lake’s premier new and used Ford dealership!